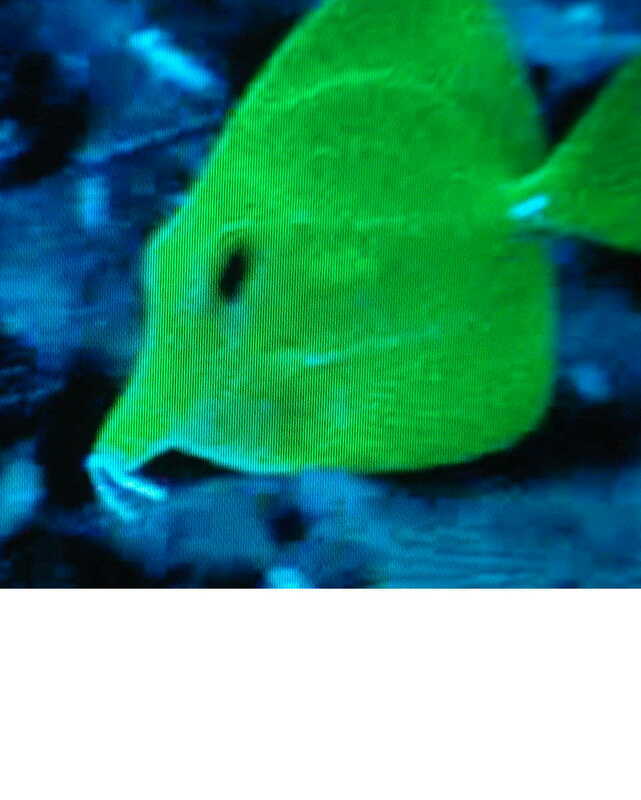 Thread: Yellow tang as string stuck on lips???? I know it sounds strange but I just walked by my tank and saw my yellow tang with what looks to be a small piece of string stuck in his mouth. I fed the tank and he ate with it still in there. I took a video...anyone have any suggestions...do I leave him or try and catch him and try and pull the string off???? oops...the title of this thread should be "Yellow tang has string stuck to his lips"
I found the yellow tang...the string is still there but is more tucked in like maybe he swallowed some of it...he's eating though good though. I'm not sure now if I catch him I could actually take the string out...maybe with tweezers...and what if it won't come out easily...if I pull too hard I could do more harm than good right? eating is a good sign, are there any other symptom with him or any of your other fish???? i would be hesitant to try and catch him for fear of stressing him to much. ( not sure it applies to tangs ).. but fish in general have acids that desolve foods in their mouths.. so it may desolve itself with time. I remember reading an article years ago.. on fishing that said the hooks left inside the fish will usually desolve in a few weeks. also not sure i'd pull on that string.. might pull out his guts if its in too far. and stress the ** out of him. lol, that was my first reaction too, nice fu manchu. i've looked around the web some and can't really find anything like it, plenty coming out the other end but not the mouth. it was a piece of hair from My golden retriever stuck to his mouth,after few weeks it was gone.